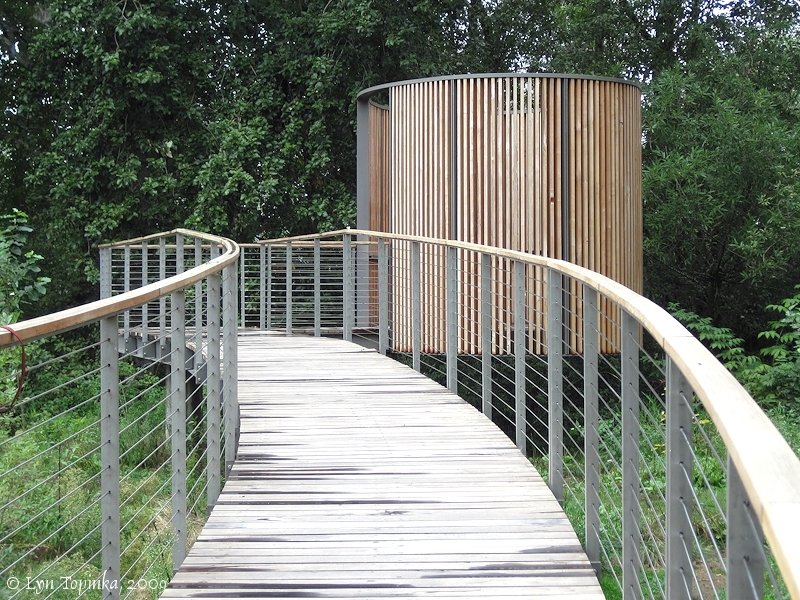 Click image to enlarge Maya Lin Bird Blind, Confluence Project, Sandy River Delta, Oregon. 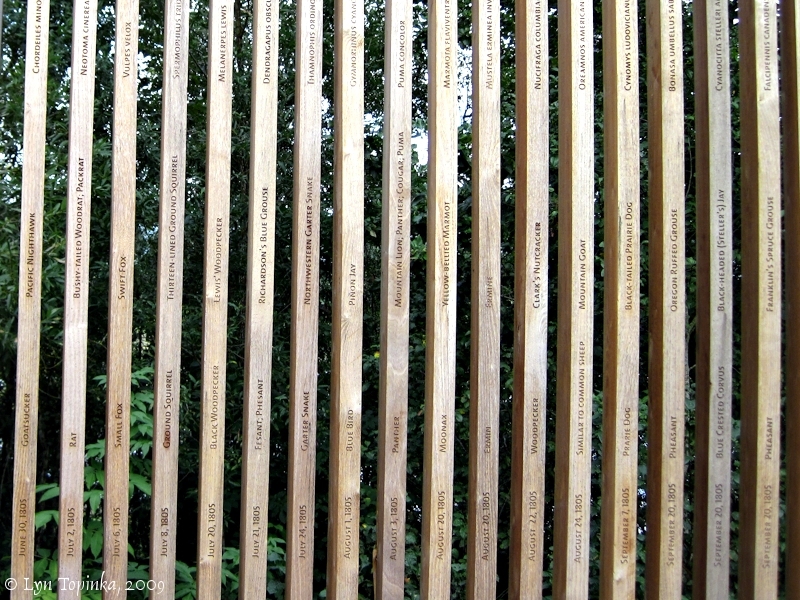 Image taken September 19, 2009. To commemorate the 200th anniversary of the Lewis and Clark Expedition, artist Maya Lin (designer of the Viet Nam Memorial) was commissioned to design interpretive artwork for seven locations along the Columbia and Snake Rivers. 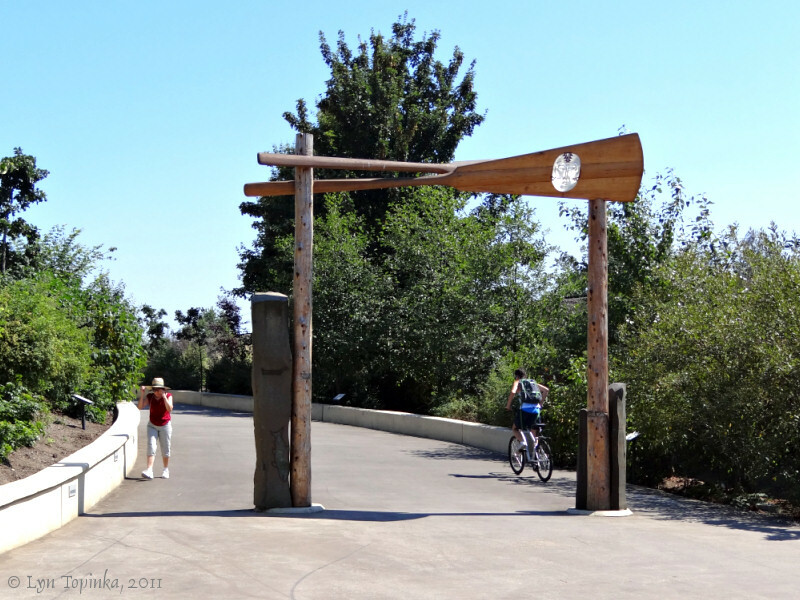 This project was completed and dedicated in August 2008, and includes a boardwalk, cedar circle, fish-cleaning table, amphitheater trail, and viewing platform overlooking Baker Bay. This project has yet to be determined (as of July 2011, Confluence Project website) and will be an environmental research center highlighting the confluence of the Willamette River with the Columbia. 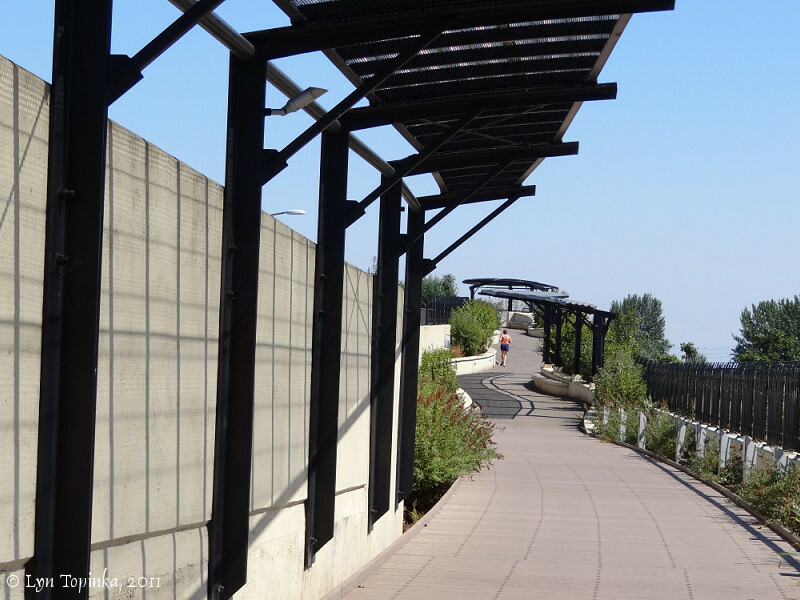 3 ... Vancouver "Land Bridge"
The Vancouver Land Bridge crosses Highway 14 and connects Fort Vancouver to Vancouver's Waterfront Park and the Waterfront Renaissance Trail along the Columbia. 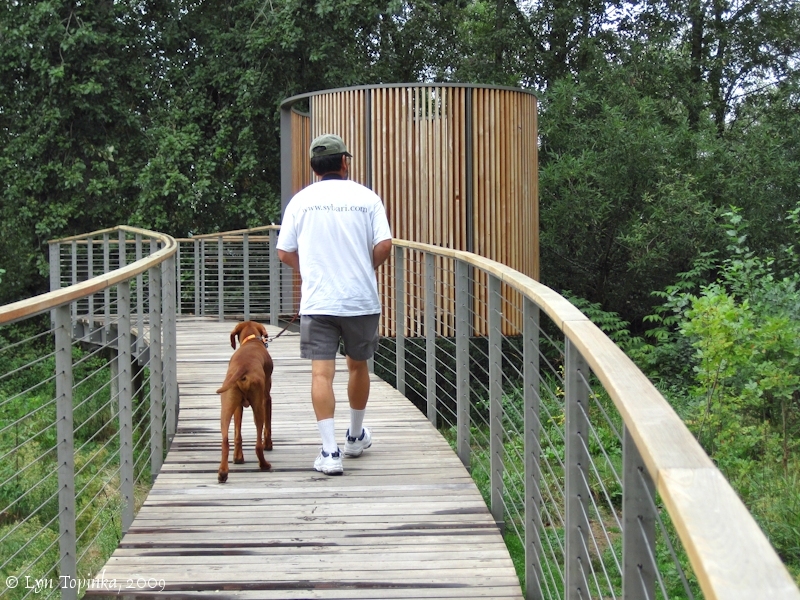 The bridge was dedicated August 23, 2008. 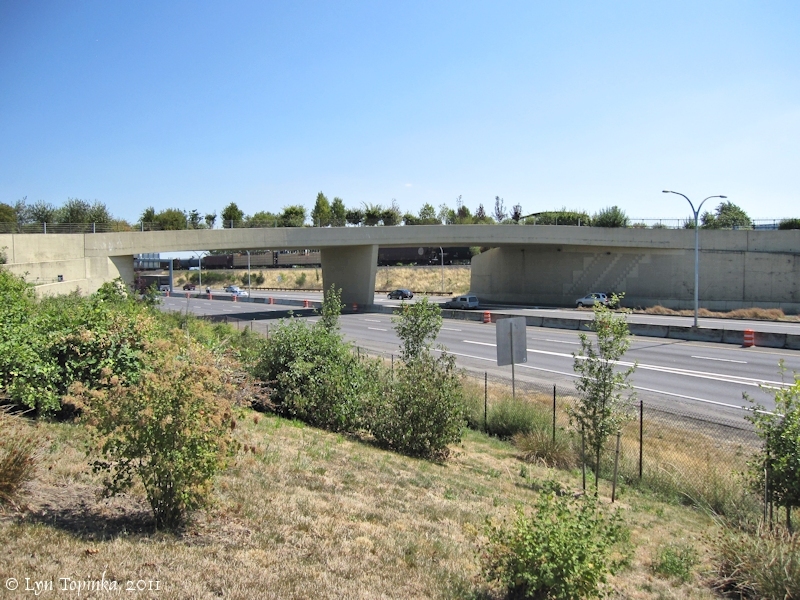 Click image to enlarge Vancouver Land Bridge crossing Washington State Highway 14, Vancouver, Washington. View looking southeast, from north side of Washington State Highway 14. Image taken August 2, 2011. 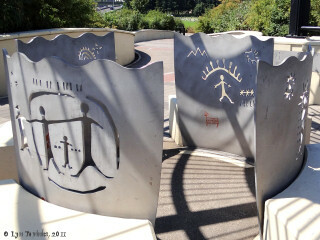 Click image to enlarge "Village Overlook", Vancouver Land Bridge, Vancouver, Washington. North side of the Bridge. 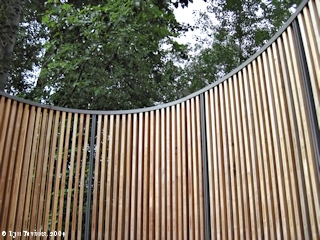 Image taken August 2, 2011. 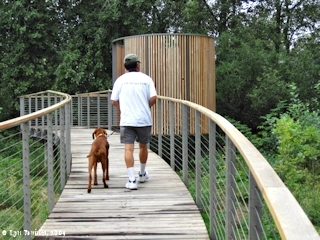 Click image to enlarge Design, "Prairie Overlook", Vancouver Land Bridge, Vancouver, Washington. North side of the Bridge. Image taken August 2, 2011. 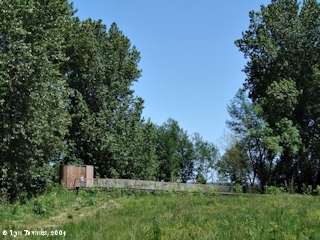 Click image to enlarge Path toward "River Overlook", from the south, Vancouver Land Bridge, Vancouver, Washington. 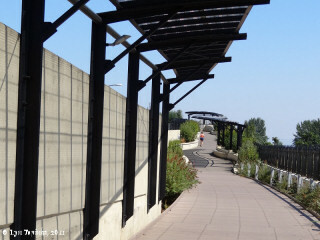 View of bridge path, from south end, walking north. Image taken August 2, 2011. Click image to enlarge South portal, Vancouver Land Bridge, Vancouver, Washington. Image taken August 2, 2011. 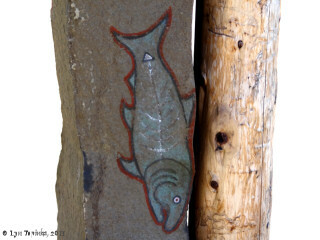 Click image to enlarge Salmon, South portal, Vancouver Land Bridge, Vancouver, Washington. Image taken August 2, 2011. 4 ... Sandy River Delta "Bird Blind"
This project is a ramp leading to a wooden structure built of black locust, called a "Bird Blind" and was formally dedicated August 23, 2008. 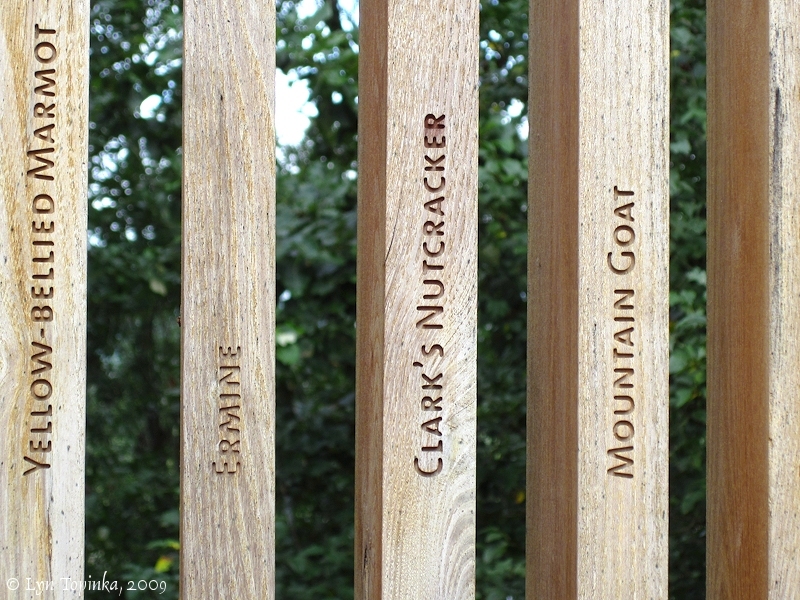 Engraved on the wooden slats are names of 134 plants and animals documented by Lewis and Clark. Click image to enlarge Maya Lin Bird Blind, Confluence Project, Sandy River Delta, Oregon. 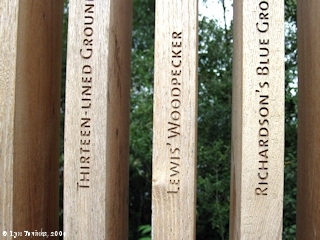 Image taken May 25, 2009. 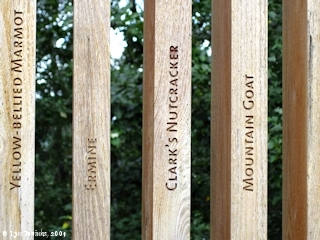 Click image to enlarge Clark's Nutcracker, Maya Lin Bird Blind, Confluence Project, Sandy River Delta, Oregon. 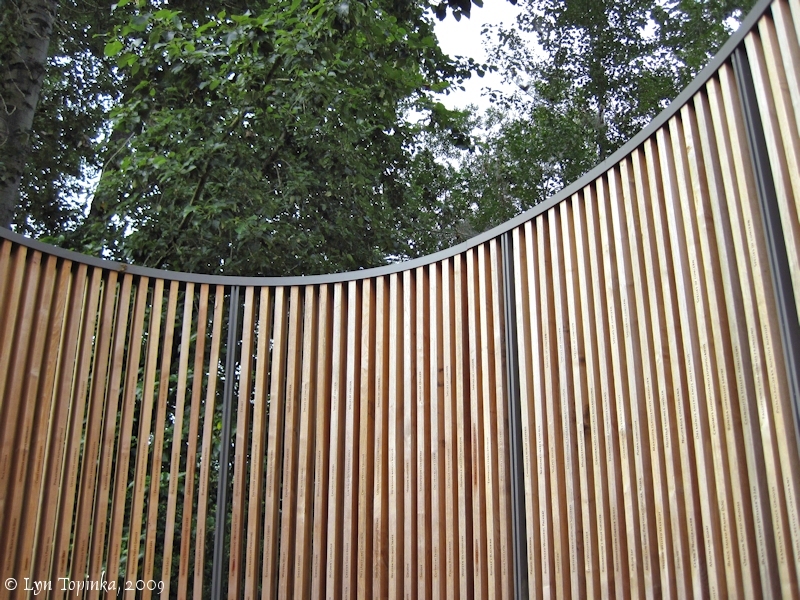 Image taken September 19, 2009. 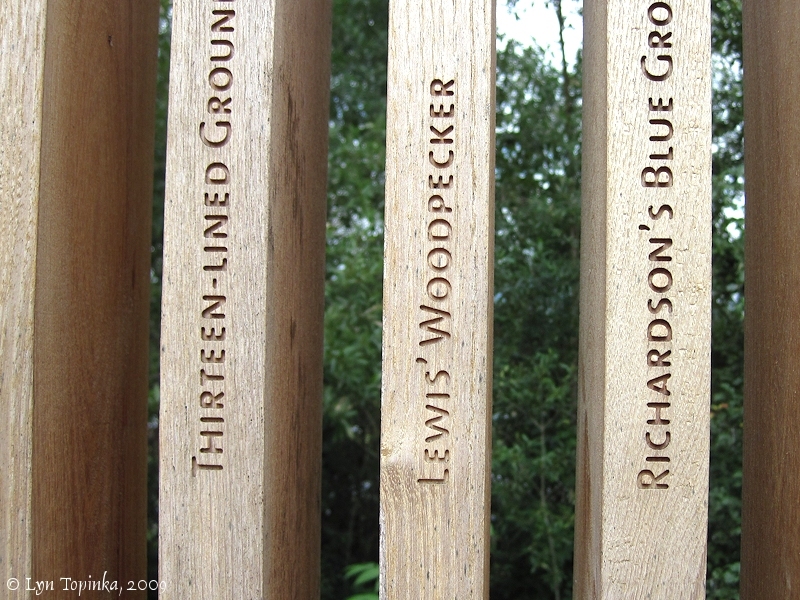 Click image to enlarge Lewis' Woodpecker, Maya Lin Bird Blind, Confluence Project, Sandy River Delta, Oregon. 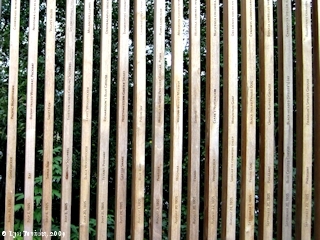 Image taken September 19, 2009. The project, slated for completion in the fall of 2012 (Confluence Project website, July 2011), and should be a cantilevered ramp which will overlook the Columbia River. 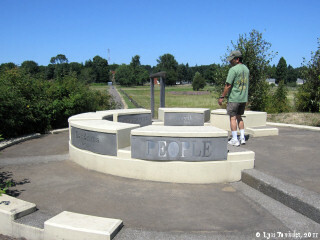 This project was completed and dedicated in August 2010, and consists of basalt Story Circles. 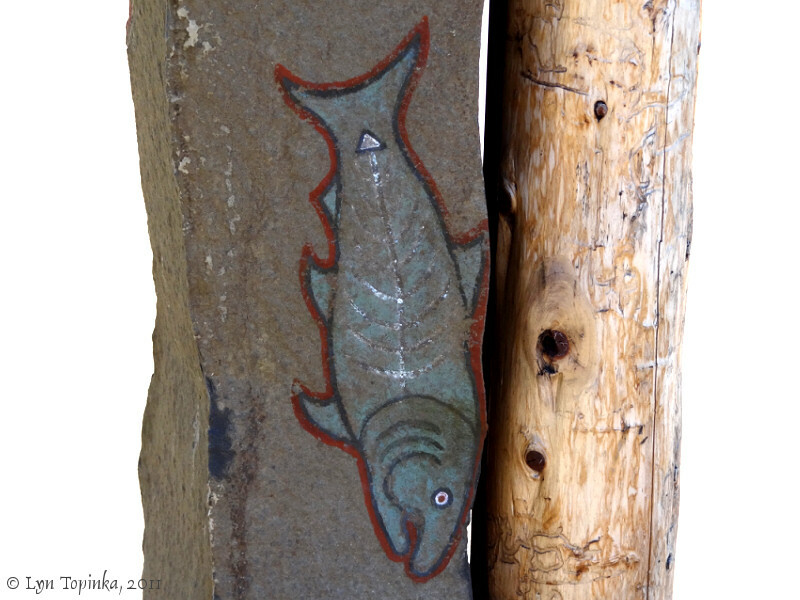 This project is located on the Snake River and will be a "Listening Circle". Currently (July 2011, information from the Confluence Project website) this project is slated for completion in the spring of 2011.